What many officers might not be aware of is the long-term effects of chronic fatigue and the relationship between stress and fatigue. Not getting enough rest and not eating properly in order to fuel the body can increase the effects of fatigue. Being fatigued on-duty causes many issues such as poor decision making and other cognitive task difficulties. Both sleep deprivation and alcohol caused impaired speech, inability to balance, impaired eye-hand coordination, and falling asleep behind the wheel (Senjo, 2011). 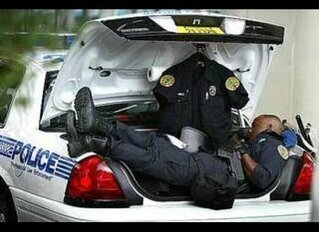 When officers are constantly fatigued after their shift they often do not find the time to unwind, change gears, and enjoy their time off away from the job. economy. But there are things that officers can do to control it. For example, officers can control how they choose to react to stressful incidents and must acknowledge that fatigue plays a direct role on personal stress levels. Officers will react as they have been trained when they are properly rested and alert. There are several steps that an officer can take to reduce their personal fatigue (Basińska & Wiciak, 2012; Senjo, 2011). Posted in Mark's Articles and tagged Corrections, Criminal Intelligence, Criminal Justice, Criminology, Critical Thinking, Dispatcher, Militray, Police, Sheriff. Bookmark the permalink.